Fear is a dark foe. If allowed to take root, it will rob you of so much life. Fear of failure, fear of risk, fear of disappointing others, fear of opinions… of ill health, of lack, of death… of LIFE! When you discover what’s really behind your fear as explained from this unique perspective, you will learn what you need to overcoming the fears you face in your life. Free access exclusively available to GRO Members! In this lesson you’ll learn something really intriguing about fear… and how understanding this is the first step in overcoming it. I would venture to say you’ve never seen fear from this angle… and often how you see a thing makes all the difference in it’s power over you. How ironic that we can fear running out of something we’re actually better off without! Find out what that common, but irrational, fear is in this lesson. 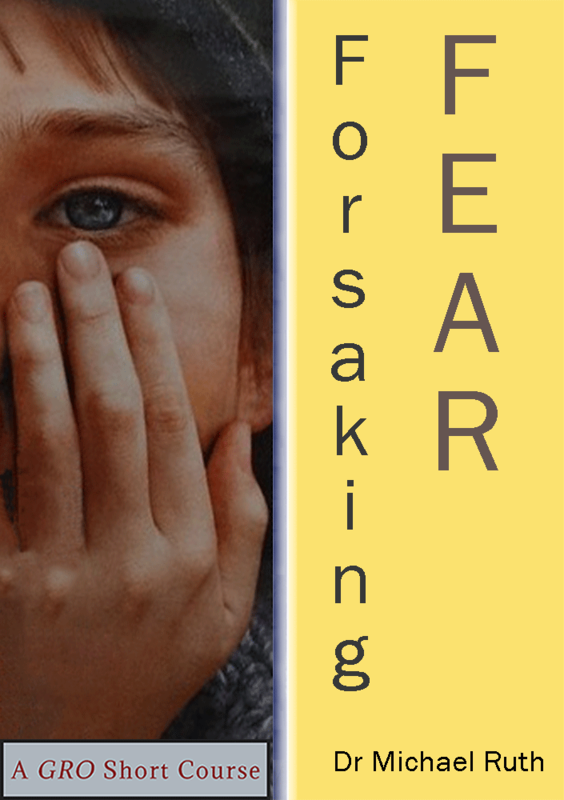 In this lesson Dr. Mike elaborates on the dis-sease of fear and it’s consequential symptoms. Though fear affects our behavior in numerous ways, this lesson highlights two of the more debilitating ways fear impacts our world… leading us to better see how critical a matter fear is and to motivate us to address it head-on with the tools provided in the next… and final lesson. Want to know how to conquer debilitating, irrational fears? This lesson offers the solution to the problem in a simple, easy-to-understand formula.